King Tiger Plecos originally came from Brazil. They should be fed pellets to ensure the food reaches the bottom for them. 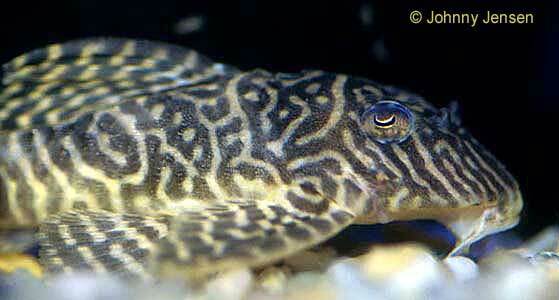 The King Tiger Pleco spends most of its time in hiding. They like stone and sand with few plants. 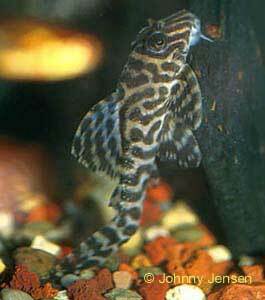 The King Tiger Pleco males are brighter and darker in coloration. King Tiger Plecos are less aggressive than other plecos.They will spawn if they have a dark cave location. It takes about a week for the fry to hatch. The male guards the eggs and will also guard the fry for several weeks.